Many times people misapply what Jesus said in this Sermon on the Mount in Matthew 7:1 when He stated, “Do not judge lest you be judged.” What did Jesus mean when He said those words? In this lesson, Eddie Parrish examines this text in its context and studies the topic of judging others. Are you tired of hypocritical religious leaders? Are you tired of people not practicing what they preach? Good, Jesus was tired of that attitude, too. In the Sermon on the Mount, Jesus said that our righteousness must exceed what the Pharisees and Jewish leaders of his day were demonstrating. 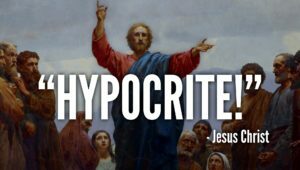 Jesus taught against hypocrisy on a multitude of issues. Join Eddie Parrish in this short video as he expounds on the meaningful lessons from the Sermon on the Mount. 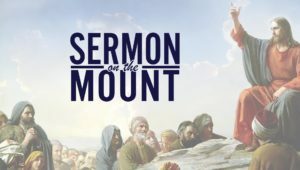 The Sermon on the Mount can be considered as the greatest sermon ever taught. In this sermon, our Lord Jesus Christ, presented many great truths that affect us just as much today as it did to those listening to Him on that day. In this introductory lesson, Eddie Parrish helps us to glean a deeper understanding of the Sermon on the Mount. In the Sermon on the Mount, Jesus told the people that if they were to be part of His kingdom, they would have to be different than those in the world around them. Christ clearly lays out these differences in the Beatitudes that found in Matthew 5. In this lesson about the Sermon on the Mount, Eddie Parrish takes an in-depth look at the Beatitudes and how we can apply them to our Christian lives. In the Sermon on the Mount, Jesus taught that those people who are of citizens of His Kingdom should use their influence for good and not evil. In all that we do as Christians, we should strive to be Christ-like and we should hunger and thirst after righteous things. Join Eddie Parrish as he takes an in-depth look at Matthew 5:13-16 and discusses this portion of the Sermon on the Mount. How often do you think about the power of your example? In His Sermon on the Mount, Jesus speaks about this by saying, “You are the light of the world.” The importance of our influence and how our actions are perceived by others cannot be overstated. In this lesson, Eddie Parrish presents a lesson from the Sermon on the Mount and takes a look at the important topic of our Christian influence and example. In the Sermon on the Mount, Jesus spoke to the people and challenged them to examine their hearts and ensure that what they were doing was inline with God’s will. Today, we should be doing the same thing. Do we try reshape or stretch God’s laws to fit our lives or do we make sure we shape our lives to be in accordance with His word? Join Eddie Parrish as he presents a lesson based off of the Sermon on the Mount and studies how we should be living according to God’s will. In His Sermon on the Mount, Jesus called attention to matters of the heart and emphasized that what a person feels inwardly toward another person is just as important as their outward actions. In Matthew 5:21-26, Jesus talks specifically about murder and anger and how His followers are called to a higher standard than those of the world. Join Eddie Parrish as he expounds on Jesus’ lesson from the Sermon on the Mount and the sanctity of life. In the Sermon on the Mount, one of the topics Jesus speaks to the crowd about is adultery. He reminds them that God’s Law has always been against adultery and that even lust is considered sin. In this lesson, Eddie Parrish looks at Matthew 5:27-28 and examines the topic of adultery. The Jesus that exists in the mind of some people is really not who Jesus was revealed to be in the New Testament. Often times, people claim that Jesus avoided controversy and was a “live-and-let-live” kind of person. However, this is not the case and we see this explicitly in the Sermon on the Mount when Jesus called people out on their sin and condemned actions contrary to God’s Law. 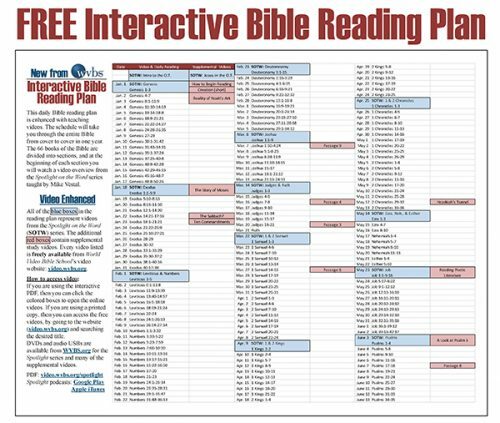 In this lesson, Eddie Parrish looks at one of these areas that Jesus spoke against: unscriptural divorce and remarriage. In Matthew 5:33-37, Jesus taught in the Sermon on the Mount that our yes should mean yes and our no should mean no. As Christians, we represent Christ and God desires that our words spoken to others should be sincere and truthful. In this lesson, Eddie Parrish explains the importance of a Christian honoring their word and their trustworthiness to others. If you are a citizen of Christ’s kingdom, then you are guaranteed to have both friends and enemies. It’s easy to love those who love us, but it can be difficult to love those who mistreat us. However, if we would be like Jesus we love friends and enemies alike. Join Eddie Parrish as he talks about this important topic that Jesus spoke about in the Sermon on the Mount of loving all of mankind. For some people, the praise of ones peers is very strong motivation. While there is nothing inherently wrong with seeking the approval and recognition of others, one of the dangers of it is when it becomes the most important thing, more important even than having God’s approval. In this lesson, Eddie Parrish examines Christ’s words spoken in the Sermon on the Mount about where our motivation comes from and how we should always seek to honor God. If you are citizen of Christ’s kingdom, there is no area of life that is off limits to God. From our religious attendance to our money, God should be in control of every aspect of our lives. In this lesson, Eddie Parrish looks at what Jesus taught in the Sermon on the Mount about the relationship that citizens of His kingdom are to have with material things. Worry is a universal problem. It affects the young and old, the wealthy and the poor. Worry about material things can sometimes be all-consuming. 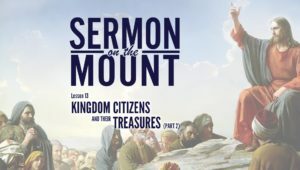 In this lesson, Eddie Parrish presents a lesson based off of Jesus’ Sermon on the Mount and what He said about having a proper perspective about material things. Throughout His Sermon on the Mount, Jesus painted a picture about His kingdom and the characteristics of a citizen of His kingdom. In the last part of His sermon, Jesus discusses how a person can become part of His kingdom. 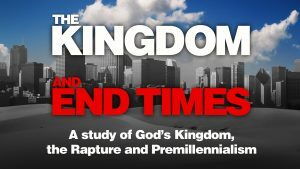 Join Eddie Parrish as he examines Jesus’ words about how a person can can gain entrance into Christ’s kingdom. As Jesus concludes His Sermon on the Mount, Jesus focuses on telling people how they can be part of His kingdom. 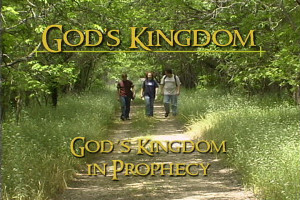 He warns people about the dangers of those that would try to steer you away from the Kingdom. In this lesson, Eddie Parrish presents a lesson from Matthew 7:15-20 about Jesus’ teachings on false teachers. In His Sermon on Mount, the Jesus makes it clear that you must be willing to do more than just profess your beliefs. You must be willing to humble yourself and explicitly obey His commands. In this lesson, Eddie Parrish takes an in-depth look at Jesus’ teachings from Matthew 7:21-27.